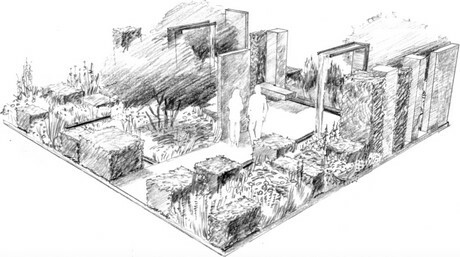 Conquest Spaces, based in Sussex, will work with designers Colm Joseph and Duncan Cargill to build the Perennial Lifeline Garden at the RHS Chelsea Flower Show 2019. In addition, Perennial is working directly with the APL on the garden, giving apprentices the opportunity to help build it on site. Inspired by Sir Roy Strong’s autobiographical The Laskett Gardens, the Perennial Lifeline Garden helps mark Perennial’s 180th anniversary this year and highlights the long-standing and ever-evolving role of Perennial in supporting everyone working in and retired from horticulture. Further confirmed suppliers and contributors include: London Stone, Stark & Greensmith, Kelley Peers Design Partnership Ltd, Hardy’s Cottage Garden Plants, Peter Beales Roses and Majestic Trees. Speaking about his involvement with the garden, Ross Conquest, MD of Conquest Spaces, says: “It is a pleasure to be working with Colm, Duncan and the team at Perennial on this garden. Through our involvement with the Association of Professional Landscapers we will combine some of the UK’s best talent on the build and give the next generation of young apprentices some much valued show experience on one of the biggest show garden platforms in the world. This is something we all hope will help keep them inspired in their careers to come. The Perennial Lifeline Garden features a classical rose garden reimagined as a more sustainable and low maintenance ‘rose meadow’. Roses intermingle with ornamental grasses, perennials and annuals to create a striking and texturally rich display with long seasonal interest. Providing formality and structure, three forms of hedge (beech, yew and hornbeam) are asymmetrically arranged and clipped to varying heights, while classical sculpture is replaced by the organic forms of multi-stem trees, helping to frame views through the space. Freestanding metal screens, stone and topiary columns, and a pair of modern ‘fountains’ combine in a modern reimagining of a classical colonnade, in which visitors can move around and walk beneath the cascades. The fountains flow into a contemporary rill which flows through and around the garden, adding life and sound to the structural planted elements, representing the ‘lifeline’ that Perennial is so often described as by the people it supports. The Perennial Lifeline Garden at RHS Chelsea Flower Show 2019 is one of a series of show gardens and events designed to mark Perennial’s 180th anniversary this year. They are also supporting show gardens at RHS Flower Show Cardiff and Harrogate Spring Flower Show and will be exhibiting at a full range of horticulture, forestry and arboriculture trade events throughout the year. 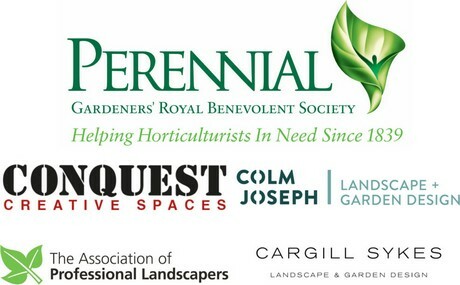 You can get involved by supporting Perennial at one of their special events, fundraising events or by telling people you know about Perennial’s free and confidential help and advice services for people in horticulture.